Dr. Francis Tumblety was a misogynistic American medical quack who lived in London during the Whitechapel murders. He was an eccentric self-promoter and fraudster who was often in trouble with the law and was, for a time considered, by the Metropolitan Police to be the real identity of Jack the Ripper. Little is known about the origins of Tumblety although according to the 1900 US census, he was born in Maryland, Baltimore to Irish Immigrant parents. British prison registers list his year of birth as 1832. He began his career selling books, possibly pornographic in nature, before setting up business in Detroit as a snake oil salesman. He claimed to be a “great physician” and a practitioner of “Indian Herb” medicine, selling patent medicines with little or no genuine healing properties. He gained quite a reputation for his eccentricity, ostentatious clothing, and over the top sales techniques and was viewed by many as nothing more than a charlatan. He was eventually connected to the death of a patient named James Portmore who had died after taking medicine prescribed by Tumblety in Boston. He attempted to avoid suspicion but was unsuccessful and was forced to flee the city. He adopted a number of aliases, one of which unintentionally landed him in a significant amount of trouble. He had been using the name J.H. Blackburn, and at that time a Dr. L.P. Blackburn was wanted for an alleged Civil war plot to infect the Union army blankets with yellow-fever. He was then accused of involvement in the Lincoln assassination but was eventually cleared of both accusations and decided to leave for London in the hope of leaving his reputation behind. The Metropolitan police arrested Tumblety on 7 November 1888 on four unrelated charges of “gross indecency”. According to an 1888 report in the Dundee Courier, while on trial in London an old acquaintance of the Dr, a New Jersey lawyer by the names of Col. C. A. Dunham, told a rather disturbing tale about his old friend. He submitted evidence stating that while at a party hosted by Tumblety back in the states, he had noticed that no women had been invited and had asked the Dr why. Tumblety allegedly replied; “I don’t know any such cattle, and if I did I would, as your friend, sooner give you a dose of quick poison than take you into such sin”. He then launched into a tirade and ‘fiercely denounced all women, and especially fallen women”. He then led Dunham and the other guests into a room filled with cabinets containing a vast of number anatomical specimens. He then presented a selection of samples to his shocked companions and proudly claimed that they came from “every class of woman”. While on bail, Scotland Yard became increasingly interested in Tumblety in relation to the Whitechapel Murders. He was arrested and questioned in 1888 during the “autumn of terror” and suspiciously fled the country soon after the the new alias, Frank Townsend. Tumblety returned to the states on the 3rd of November 1888 but his notoriety had not diminished in his absence. His arrest in London and suspected involvement in the Whitechapel murders had been reported in the American press and he had become somewhat of a household name. In an 1889 he gave an interview that was printed in the Boston Daily Globe in which he paid “his respects to the stupid police” and claimed to have been targeted simply because he “was an American and wore a slouch hat”. In this bizarre and rather rambling interview, he gave a number of suggestions as to why he had been arrested. At first he claimed the police were “desiring his diamonds and thinking they could force him to give them up”. He later cited xenophobia as the reason, claiming that “someone had said Jack the Ripper was an American” and that had “enough for the police” to establish his guilt. He then launched into a strange rant about the British, in which he exclaimed “they stuff themselves all day with pot-pies and beef and drink gallons of stale beer, keeping it up until they go to bed late at night”. He concluded by saying that he “had never seen such a stupid set” as the English police and that their “heads were as thick as the London fog”. when asked about his attitudes towards women his responses became even more unusual, replying with a stanza of his own poetry on female beauty. The British police eventually dropped their investigations into Tumblety’s involvements in the killings. He eventually published a self-aggrandising pamphlet entitled “Dr. Francis Tumblety – Sketch of the Life of the Gifted, Eccentric and World Famed Physician. 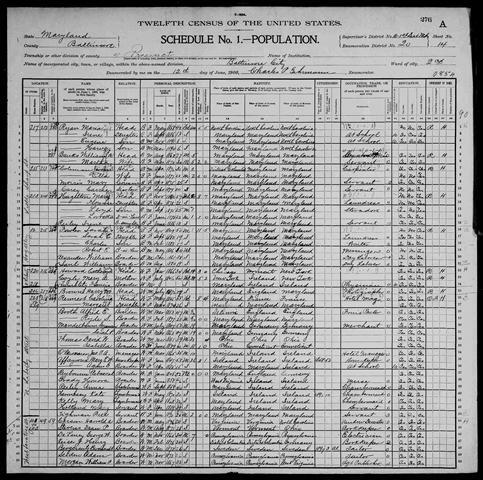 In it he attacked the rumours in the press and completely omitted any mention of his criminal charges and arrest.” The 1900 US census shows that he eventually returned to Baltimore, and lodged with a relative before passing away in 1903. Although no one will never know for sure, many believe that Tumblety is the most likely candidate for the true identity of Jack the Ripper. He was certainly and unusual man and he was definitely in East London at the time of the murders. They conveniently ceased when he had fled the country, he was outspoken in his hatred towards women and his gruesome cabinet of anatomical specimens has never been explained.